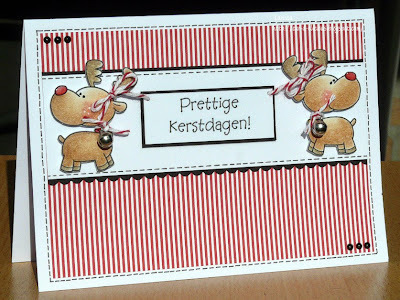 Larissa created a card using the new set "Happy Santa" and sent me a couple of photos! Please leave some love for her on this post, everyone! Thank you for sharing, Larissa! 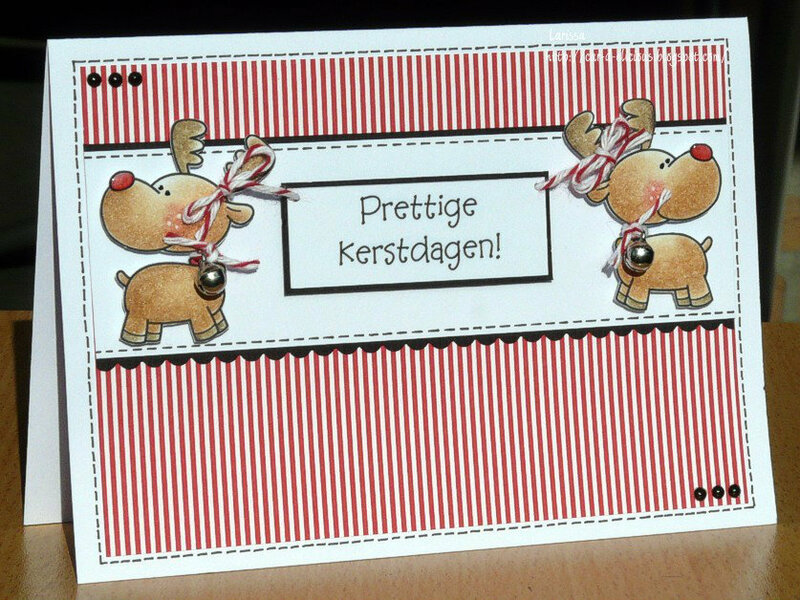 Thanks for sharing my card! :) Love the new images. Oh they 2 are adorable! Very cute. 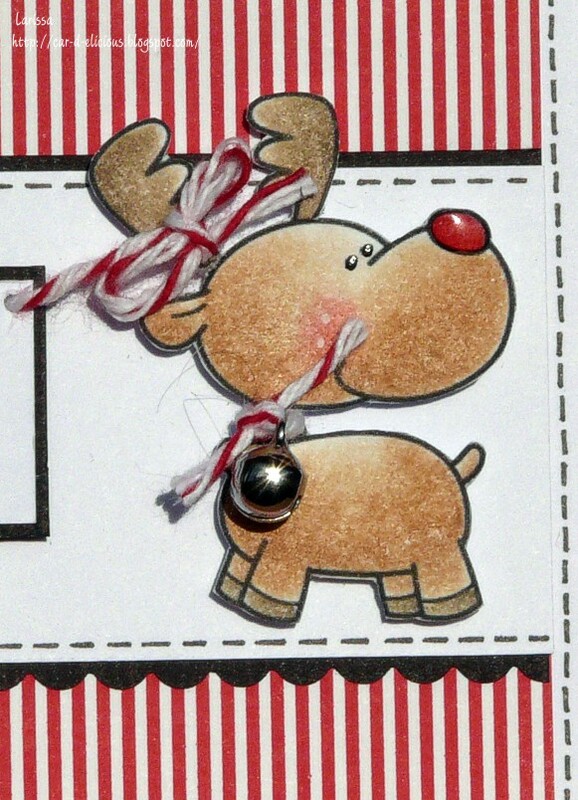 It is so nice using digital images so that you can size them or flip them however you like.